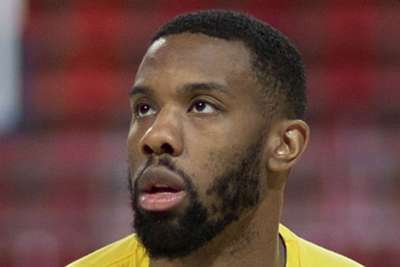 Norris Cole helped keep Sidigas Avellino's 100 per cent record in this season's Basketball Champions League intact with an overtime victory over Anwil. Point guard Cole, a two-time NBA champion with the Miami Heat, had 33 points, nine assists and eight rebounds in a 105-102 triumph for the Italian side, who improved to 3-0. UCAM Murcia are level with them at the top of Group A following a 72-51 victory against Nizhny Novgorod, but Banvit suffered their first defeat by going down 86-80 to Ventspils. The other match in the pool saw MHP Riesen Ludwigsburg fall to a third successive loss against Le Mans 64-54. Iberostar Tenerife and Umana Reyer Venezia remain unbeaten in Group B.
Tenerife were 91-68 victors against Fribourg OIympic thanks to 23 points from Tim Abromaitis, while Venezia improved to 3-0 with a 90-72 win at Opava. Nanterre 92 claimed their first victory against Telekom Baskets Bonn, while PAOK remain winless after a brilliant last two quarters from Unet Holon.